In an effort to reduce my mouse usage as much as possible and mitigate RSI over time, I’ve been using a set of keyboard shortcuts to handle window management. 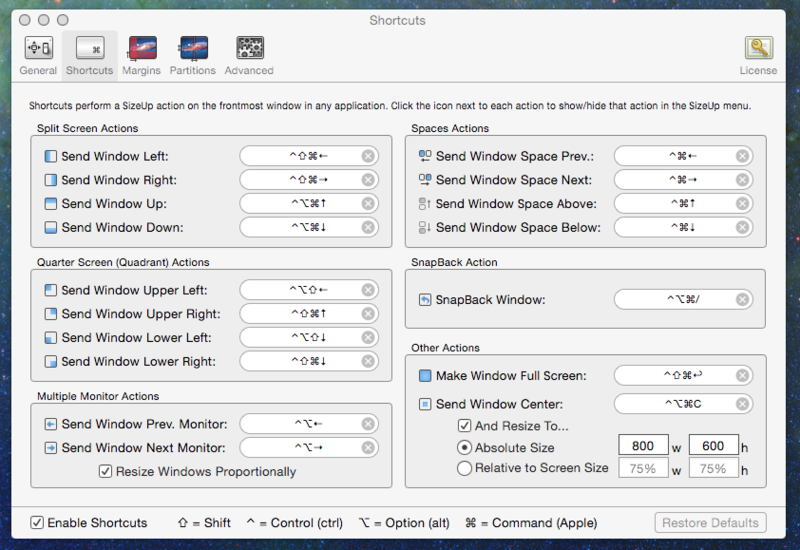 This may be useful for anyone who spends a great deal of time working on a Mac between multiple applications who would like to reduce the need to touch the mouse repeatedly through the day. I work on a Mac, so this example pertains only to Mac OS X. There are a variety of window management apps you can choose from, but I find SizeUp to be the simplest one that has all the features I need. You can try it for free, but you should buy it if you like it. As of this writing it’s $13, well worth the cost. To do this we’ll use a combination of the SizeUp app and the Keyboard system preferences to modify the default system keyboard shortcuts. In general I use modifier keys such as CTRL, CMD, Option and Shift in combination with the Arrow keys for all movement, but the specific shortcuts are up to you. A note about spaces: Spaces allow you to segment your work to better focus on a task or a set of related tasks at one time by keeping unrelated windows out of view. Be sure each is checked, then double click on the shortcut listed on the right side to edit it. I use the Option and Left/Right Arrow keys for this movement. Be sure it’s checked, then double click on the shortcut on the right to edit it. 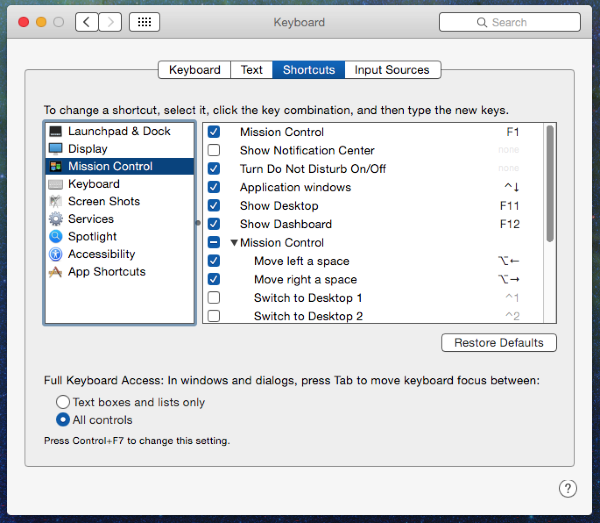 I use the Option and Tab key to toggle between on-screen windows to focus the one I want to move, resize, or use.